Cary, NC – As Downtown Cary grows, residents and visitors have more options for their shopping. And with Pro’s Epicurean Market and Café now open, those options have expanded to a gourmet European market with top quality meals included. Pro’s Epicurean Market and Café, located on E Chatham Street in Downtown Cary, is lined with shelves and cases selling ingredients and goods from France, Italy, Spain and some local North Carolina businesses. But Pro’s also prepares and sells meals to eat in-store to or take home, which chef and owner Richard Procida said is common for European markets. “If you go to a big city, they have large markets that can put everything in one place,” Procida said. Procida was trained at the Culinary Institute and has worked with chefs from New York City to Pennsylvania, before transitioning to working in newspapers as a marketer and then publisher. But after retiring, Procida moved to North Carolina, opening Pro’s Epicurean and running it with his wife Karen and son Joseph and is, as he put it, living the dream. “We want to make guests feel welcome; we want to educate them while also learning from their experiences and what they want out of us,” Procida said. 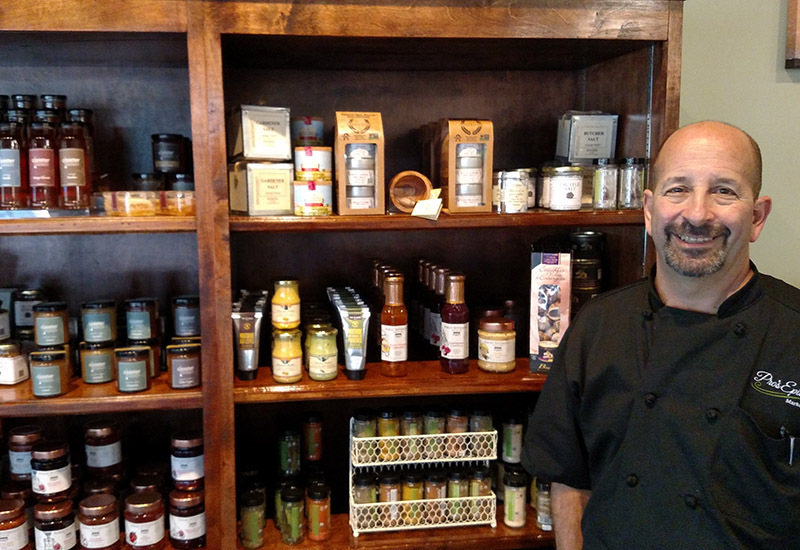 In the few weeks that Pro’s Epicurean has been open so far, Procida said he has been impressed with the support from the Cary community and has learned a lot about the local passion for food. “My goal and challenge is to keep bringing these new flavors and products on for this passionate community,” he said. Procida said, in the coming months, the number of offerings at Pro’s Epicurean will increase but there is still a wide variety of food available in their market. 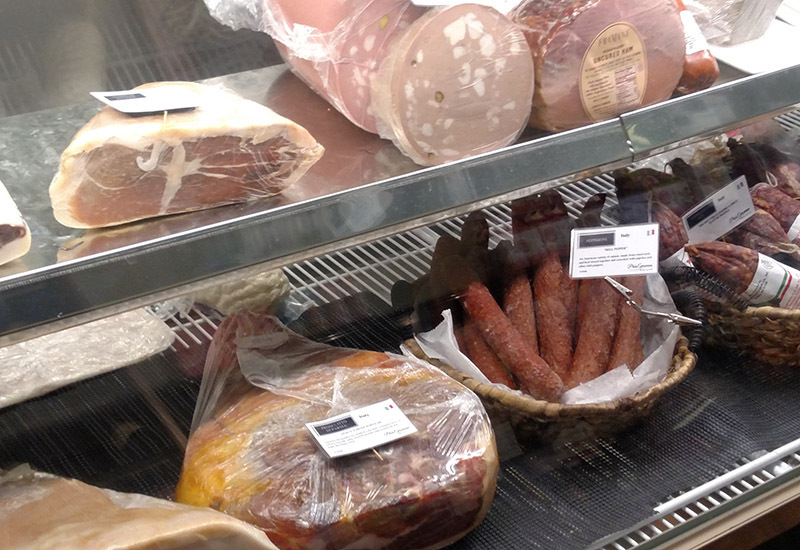 The cases in the front of the store are filled with cheeses and charcuterie, or cured meats. 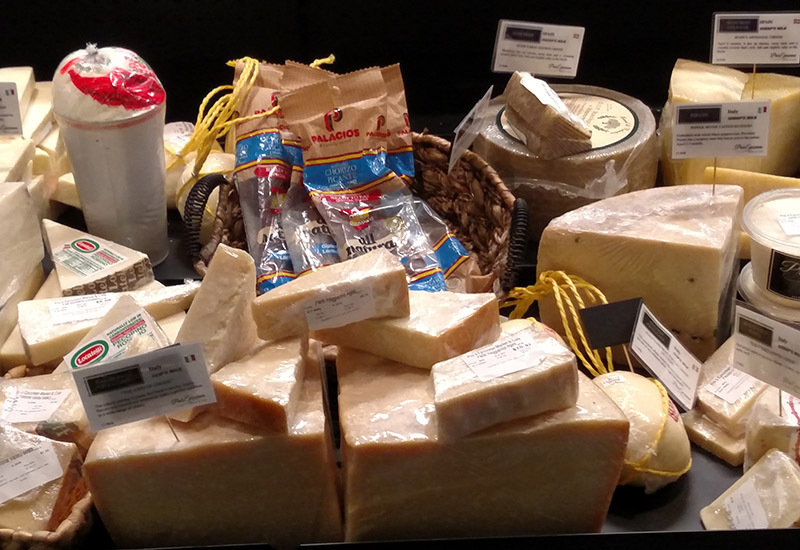 These range from sausage to capocollo to prosciutto and more, and the artisanal cheeses range from North Carolina farms to European dairies. Procida said they even make their own mozzarella. Other offerings on the kitchen side of the market include quiches, several varieties of crepes and European desserts, among other things. 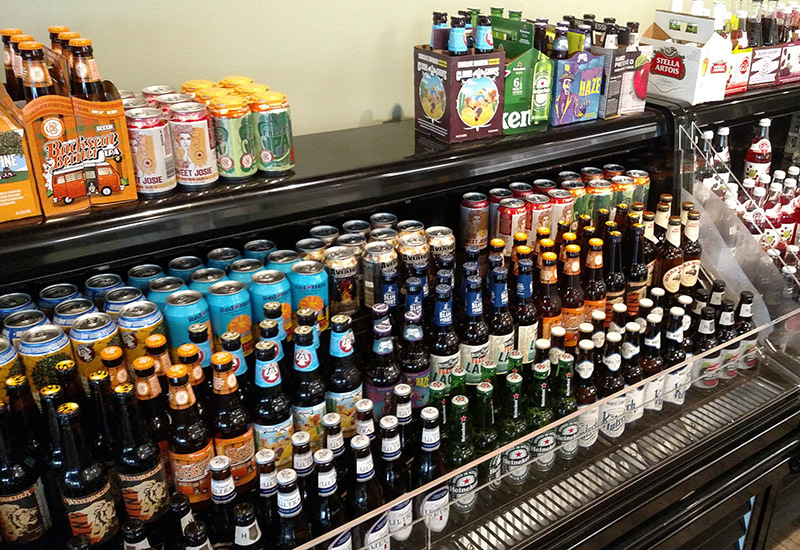 There is also beer and wine, both from the United States and North Carolina specifically but also Europe. Across from these displays, Pro’s Epicurean has shelves of packages foods for preparing food at home. These include organic spices from France, cloistered honey from Charlotte and products from Sclafani, a specialty Italian importer. But another unique element of Pro’s Epicurean are its olive oils and balsamics. 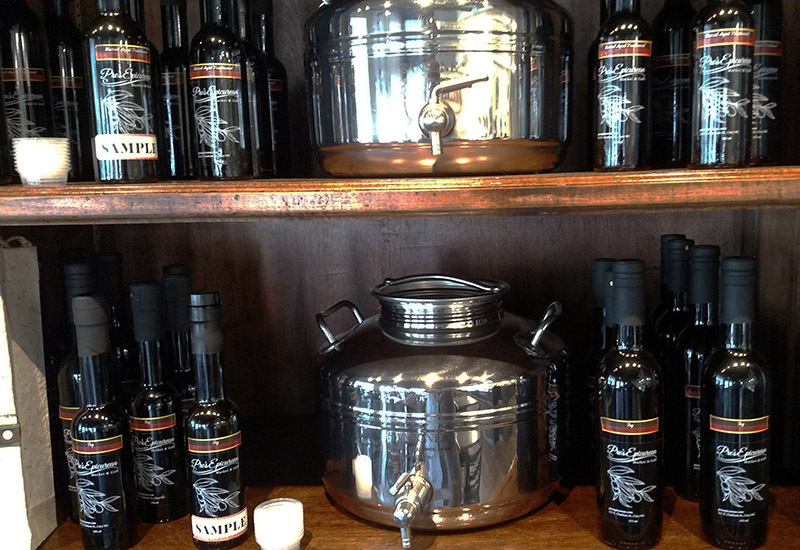 Procida has a variety of fused oils and balsamics, as well as straight extra virgin olive oil and 15-year-aged balsamic. And these can be sampled right in store through small urns on the shelves. “There are no short cuts taken with the food,” he said. For the food Pro’s Epicurean sells as meals, guests can get everything from cheese plates with wine, to appetizers, to a full lunch and dinner with everything from sandwiches, salads up to seafood and French escargot. And while the menu is mostly French and Italian, Procida said there will be specials where he works in other tastes such as cajun. The side wall in Pro’s Epicurean also opens out so people have easy access to the patio space on the newly paved and bricked path around the store, leading toward Bond Brothers Brewing Company behind them. In the future, Procida said he plans to include catering to the store and is hiring more staff to add waiters and give a full restaurant feel to the store. Pro’s Epicurean Market and Café is located at 211 E Chatham St.